Beachbody added two new meal plan levels for the 21 Day Fix! I’ve put together a full week for the 21 Day Fix Meal Plan E which is 2,300 – 2,499 calories. This Ultimate Portion Fix Meal Plan E is easy to follow and great for getting started on your healthy lifestyle journey. What is Beachbody | What is the 21 Day Fix Program? Beachbody is a healthy lifestyle brand that has developed programs, nutritional plans, and products over the years to help people from every level of fitness lose weight and get healthy. Their 21 Day Fix program is a nutrition program that focuses on whole foods and a container based approach. 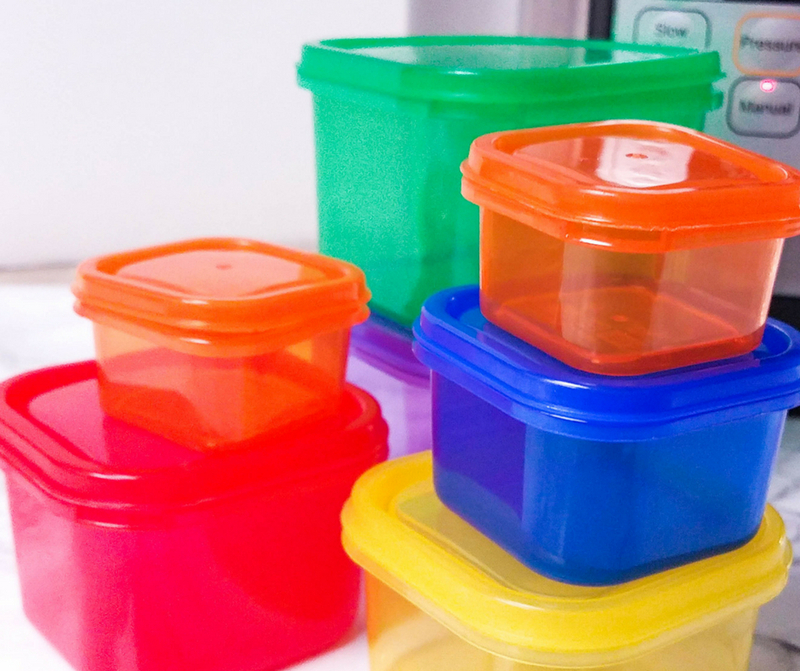 The color coded containers correspond to food groups and an approved list of items you can measure with the matching container. The 21 Day Fix program also has an exercise component that can be purchased on DVDs or accessed through their Beachbody on Demand Program which is available online via computer, smartphone, smart TV, or tablet. Beachbody and the 21 Day Fix program are designed to guide you through a transition towards a more healthy lifestyle over 21 Days. Though most people do more than one round of the 21 Day Fix program you can expect to see some nice results if you follow both the exercise and nutritional components of the program. Do you have any other 21 Day Fix resources? These are some of my top hits when it comes to the 21 Day Fix. My readers come from all levels of health and fitness so I try and offer 21 Day Fix resources that apply to every step of the journey! 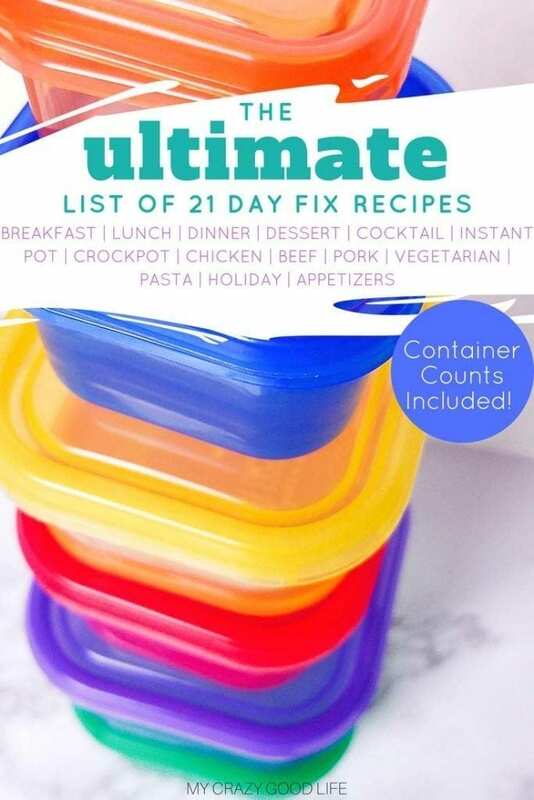 21 Day Fix Printables and Recipes: The ULTIMATE Toolkit! Who should use this Ultimate Portion Fix Meal Plan E? Everyone who starts the 21 Day Fix or the Ultimate Portion Fix has to go through a calculation to find their bracket. The equation is based on an algorithm developed by Beachbody and the program creators and it’s rather complicated but they walk you through it, step by step. I’ve linked the meal plans for the other calorie groups above. Anyone following this meal plan should be in calorie bracket E (or just looking for a healthy meal plan that falls within that rough calorie spread each day! How do I use this 21 Day Fix Meal Plan E? I’ve tried to make this meal plan as easy as possible to use and understand. I’ll explain some things here so you know exactly where to start and where I am coming from in having created all of these different meal plans. Each bracket, A-F, on the 21 Day Fix is assigned certain container counts for each day. Every day you’ll need to eat specifically so you meet those container guidelines. I’ve taken the guess work out of that process by creating a meal plan for 5 days, Monday – Friday, that is broken down into breakfast, lunch, dinner, snacks, and desserts. 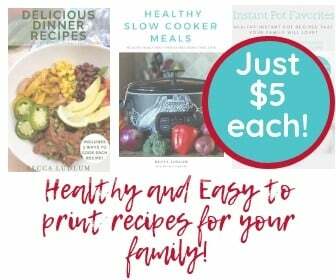 Every recipe that is included is also linked so you can get the full recipe, instructions, and any tips that might be helpful when making it or prepping it ahead of time. 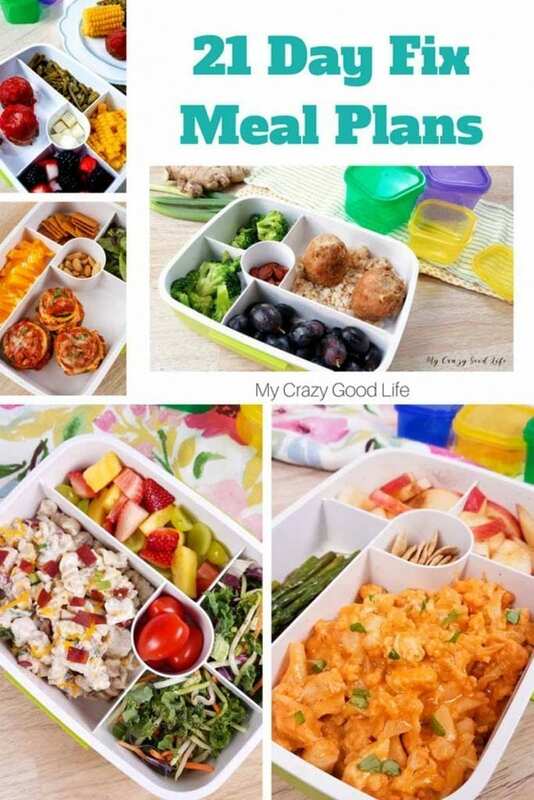 Some of the meals and snacks are not recipes, they’re just individual items or foods. In that case, those items are listed and and their container counts are tallied as well. Why haven’t you included the weekends in your 21 Day Fix Meal Plan E? I hate to waste food. It’s one of my biggest pet peeves so I try not to overdo it when I’m planning for the week and cooking meals. There will be leftovers from each meal you make and playing refrigerator clean out means that less food gets wasted and most of us have more time on the weekends to pick and choose our meals without being in such a rush. 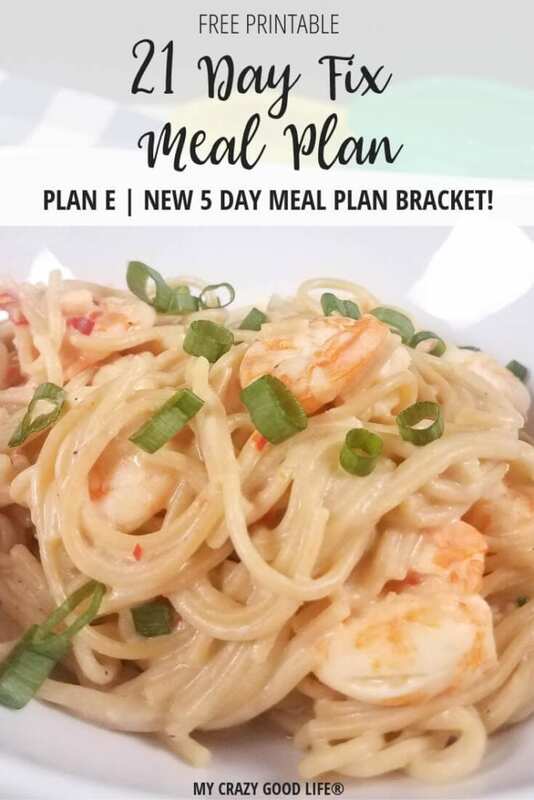 You can use the Ultimate Portion Fix Meal Plan E for Monday through Friday as a guide and either pick two days to double up or pick and choose from the recipes and leftovers for your weekend meals. I’ve just found that planning and prepping for seven days is a bit too much, even with four people in the house.